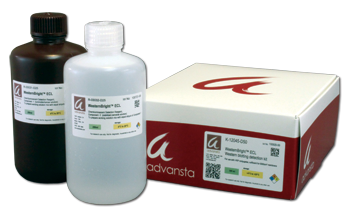 Resolving Small Molecular Weight Proteins for Westerns - Advansta Inc.
For most proteins, standard SDS-PAGE works well to separate the molecules prior to downstream applications, such as Western blotting. But what if you are working with small molecular weight proteins, like something smaller than 10kDa (cringe)? These proteins are notoriously difficult to resolve. They do not bind SDS well, a key component in the separation of proteins. In addition, small molecular weight proteins migrate with the buffer front and do not separate out from one another as easily. When working with very small proteins, you need to rethink your gel. Here are a couple of options you might want to consider. The tris-tricine gel system was developed by Shaggar and Von Jagow to resolve proteins as small as 1 kDa. The tris-tricine system uses 2 different running buffers, an anode buffer and a cathode buffer, which contains tricine, in place of a single electrophoresis buffer containing glycine. 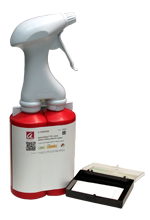 Depending on the percentage of acrylamide used in the gel, they can be used to finely resolve small molecular weight proteins between 1-100 kDa. 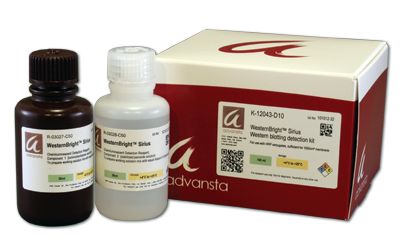 Detailed protocols for preparing, staining and blotting using the tris-tricine system can be found here. You can also buy tris-tricine gels and buffers from multiple companies. 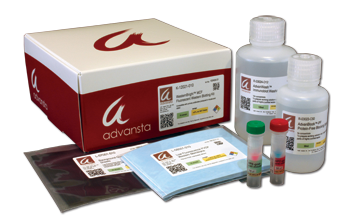 As their name implies, gradient gels contain a continuous linear gradient of acrylamide throughout the gel. The range of acrylamide can be between 3-30%, but you adjust the range to optimize resolution of your protein. As proteins move through the increasing acrylamide concentration, and hence, decreasing pore size, they migrate until the pore size stops their movement. And they don’t really move much further. 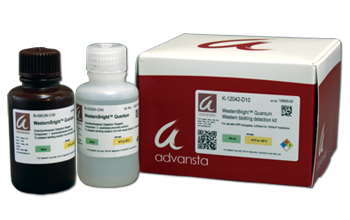 This allows you to resolve larger proteins as well as small molecular weight proteins. Making your own gradient gel can be tricky and requires a gradient gel apparatus for pouring. However, many companies sell pre-poured gradient gels with varying ranges. Remember – don’t let the size of your protein deter you, you can resolve the issues!